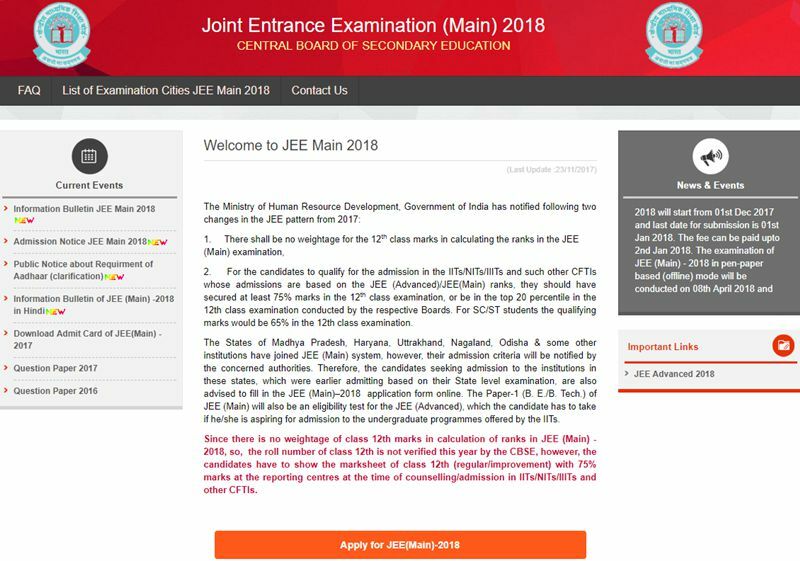 In order to appear in JEE (Main) and JEE (Advanced) 2018, the candidates are required to apply only online as per procedure detailed below. The online submission of particulars, uploading of scanned photograph and signatures may be made at JEE (Main) website. The candidates should supply all the required details while filling up the online form. On submission of details, a Acknowledgement Page with Application No. shall be generated. (b) by depositing fee in cash in the Syndicate/Canara/ICICI bank through e-challan generated during the online filling of application form. Please refer to JEE (Advanced) website for the latest information and section 2.10(I) of the brochure. Please also see section 5.4 for JEE (Advanced). 5. Candidates are advised to take a print-out for future reference.